Playing on the ice during the U.S. 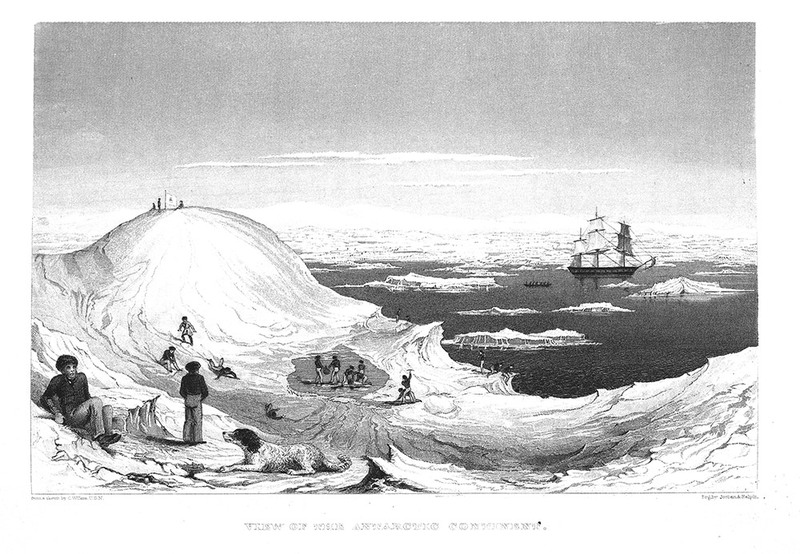 Exploring Expedition, sketch by Charles Wilkes. Wilkes became very unpopular with his men during their four long years at sea. His best friend on the voyage was his dog Sydney, a giant breed called Newfoundland, pictured here. These dogs are good aboard ships because they can swim well, haul fishing nets, and retrieve people or objects that fall into the sea. Sydney was the first dog to go to Antarctica! A sketch by Charles Wilkes during the U.S. Exploring Expedition.